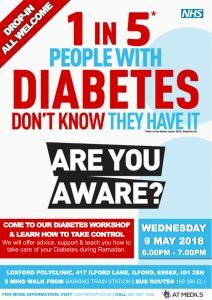 The Loxford Practice will be hosting a Diabetes Awareness Event for all members of the public on Wednesday 9 May 2018 between 6:00pm and 7:00pm – all are welcome to attend. See poster below. 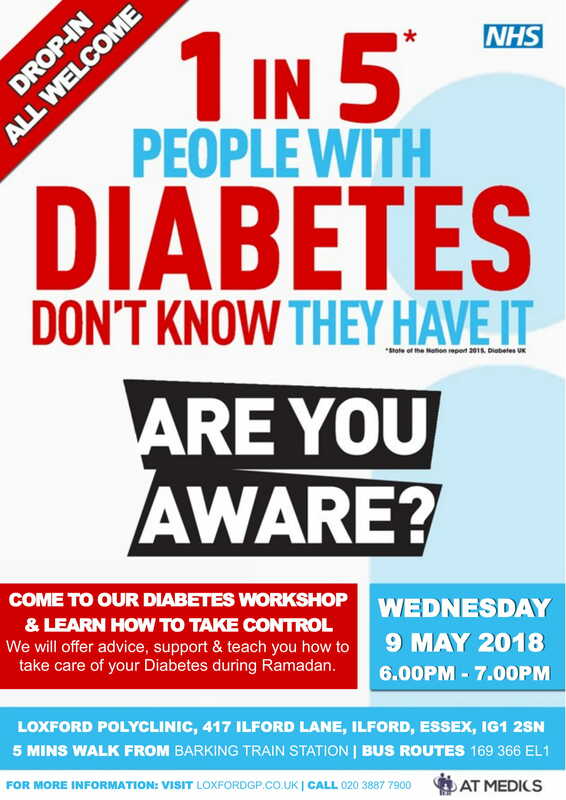 The event will be led by our GPs and Pharmacists, who will be there to offer advice about Diabetes and answer any questions you might have about this condition. Visitors can also enjoy FREE refreshments during the event.